This spring weather just isn't playing ball is it? I'm bored of winter stuff....in fact I'm even bored of my transitional stuff....it feels like I've been wearing it for so long. Looking over what I've purchased since January (you can see here) I've gone through phases, sweatshirts and a few tops were the order of the day in Jan/Feb. More recently I went on a hunt for alternatives to jeans and have ended up with lots of new trousers and even a skirt. Over the last couple of weeks I've been dazzled by a few new pairs of shoes. There have only been a couple of jacket purchases though (a bomber and a blazer) and the 2 I've bought just aren't cutting it with the chilly temperatures we are having at the mo! So there is only one thing for it.....I've been looking to add a little warmer wardrobe liven-upper to my spring jacket collection. 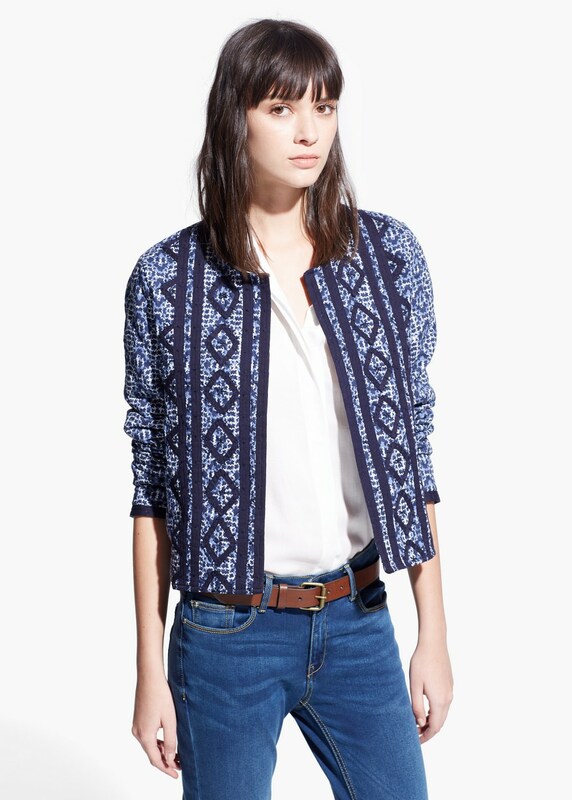 I actually linked to this jacket on this post here and there are only a couple of sizes left now but I took the plunge and ordered it yesterday. Will report back once it's arrived! 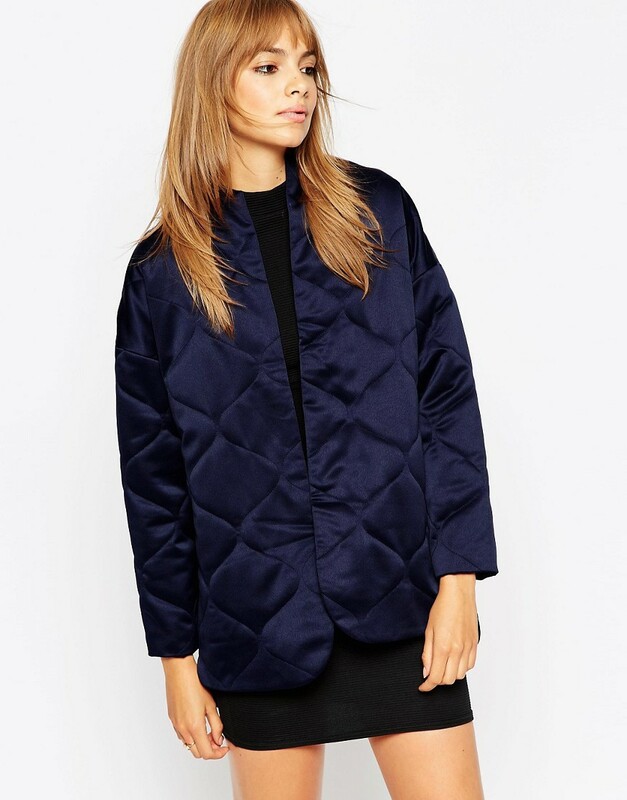 I've also had my eye on this navy quilted jacket for a while too. Mnago have a couple of fab options that are heavily reduced! I found a couple of beauties in Mango's outlet section.....this one is just £12.50! So! Are you making any purchases to tide you over until we get some warmer temps or are you just eeking out your winter wardrobe for as long as it takes? Do tell! I love the Maison Scotch one but I do have a soft spot for their clothes but they can be a little spendy when not in the sale. And do you know what? I should have kept that blooming Zara jacket I posted on my IG a few years back. I shall have to just remember it fondly as "the one that got away". 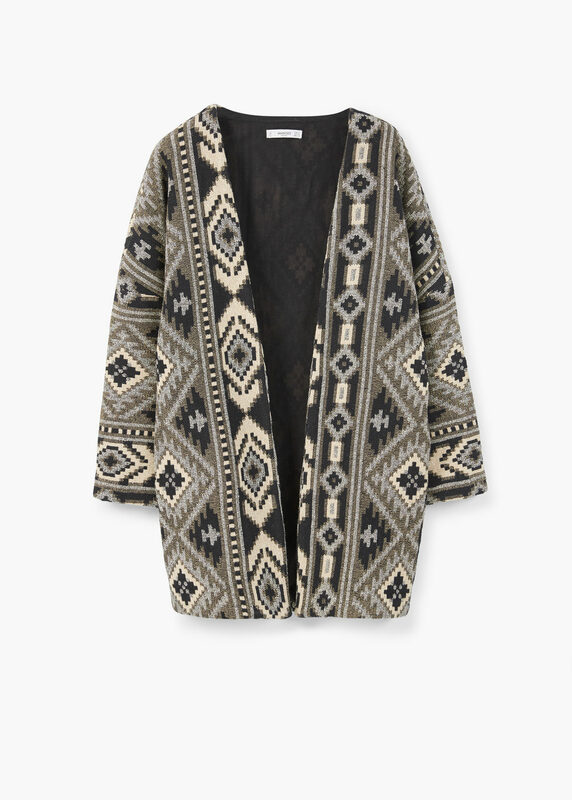 I loved the Gap kimono jacket from afar for ages and eventually brought in when there was an offer on (when isn't there in Gap!). So disappointed, I looked like I was off to my karate lesson. Looked nothing like the it did on the model but then you may have better luck with it.